The African continent has alot to offer when it comes to wildlife and culture and you will find the most popular iconic attractions in Uganda; the Pearl of Africa. 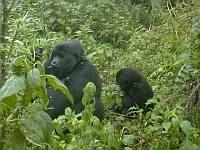 Uganda is home to the incredible mountain gorillas, one of the most endangered species in the world. Two of the tallest ranges in Africa are found in Uganda and a hike up the glacial landscapes of Rwenzori is one of the best mountain climbing adventures. A Uganda safari offers you chance to sample the different ethnic tribes each with a unique culture and history. Travel east to Jinja town, East Africa’s adventure capital and home to the source of the River nile- the world’s longest river, from the adrenaline pumped white water rafting , kayaking bungee jumping to exciting horseback rides and boat rides, Jinja has something to offer to all kinds of travelers.The population of over 1050 bird species makes the country the perfect haven for birders. The beautiful landscapes and water bodies coupled with the good weather, stable political climate and friendly locals has made Uganda one of the most visited safari destinations in Africa. Safari Uganda Mumwe Africa Skimmer Safaris specializing in organizing guided Uganda safaris and tours for all tourist types including back-packers, couples, families, small groups, students, researchers as well as business and leisure seekers. All our trips are conducted in a 4X4 safari van under guidance of well trained tour guides to give you a comfortable and safe experience. 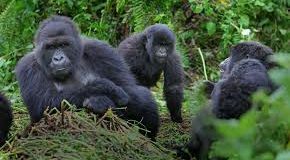 Are you are interested in chimpanzee or gorilla trekking, a game drive through a Savannah park , forest walk, hike a mountain, raft on the Nile or just want to tour the city ? Whatever activity your into, we will be more than glad to craft an itinerary based on your personal needs and budget to give you a memorable safari in Uganda worth every dollar you pay.